The four separate zones are capable of producing six power levels from 1 kW to 2 kW, so you'll always have the power you need. 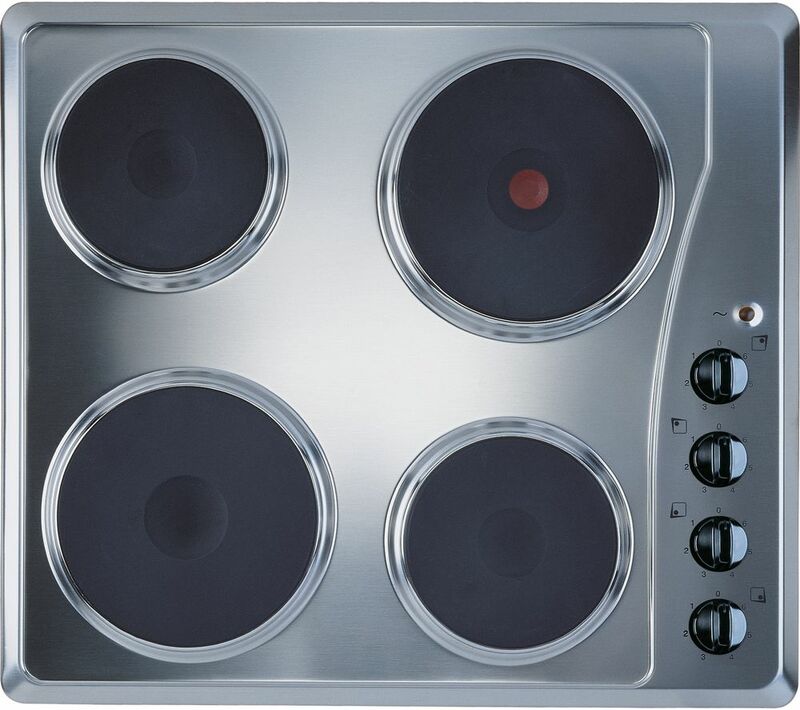 The 60 cm width of the Indesit TI 60 X Solid Plate Hob panel makes it a perfect fit for pretty much any kitchen space, and ensures that it isn't obtrusive on the worktop. Peace of mind The ten year parts guarantee keeps your hob protected so you don't have to worry. You're covered for a decade in the unlikely event that repairs or replacements are required. Had the last indesit hob 20 years, & was still working, but showing its age. The controls are much easier to see than ceramic hobs. Simplicity and inability to break if something is dropped on it.